Kansas voters have chosen to keep longtime incumbent Pat Roberts in the U.S. Senate. The Republican defeated independent challenger Greg Orman in yesterday’s election. Roberts told supporters at an election night party that he expects to become chairman of the Senate Agriculture Committee. Republican congressman Tim Huelskamp has won re-election in the sprawling 1st District of western and central Kansas. Huelskamp defeated Democrat Jim Sherow in Tuesday’s election. The Republican incumbent has become a tea party favorite and won his third term. Republican Governor Sam Brownback defeated Democratic challenger Paul Davis in yesterday’s election. 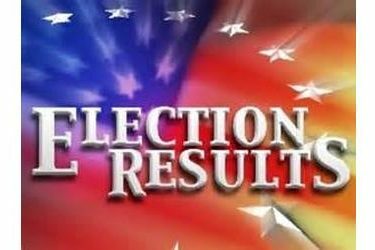 With most of the unofficial returns counted, Brownback had just shy of 50 percent of the vote, while Davis had 46 percent. Davis conceded the race to Brownback last night. Davis told supporters that the state faces real challenges and people must work together. Republican Kris Kobach has won re-election as Kansas secretary of state after championing photo ID and proof-of-citizenship requirements for voters. Kobach won a second, four-year term in yesterday’s election by defeating Democrat and former state Senator Jean Schodorf of Wichita. A Republican accountant and industry executive has won the Kansas insurance commissioner’s race without the backing of the retiring, three-term GOP incumbent. Republican Derek Schmidt has won re-election as Kansas attorney general against an underfinanced Democratic opponent. Kansas voters have re-elected Republican Ron Estes (EH’-stuhs) as state treasurer following a low-key race against a Democratic opponent. Kansas has legalized charity fundraising raffles. Voters approved an amendment to the state constitution in Tuesday’s election. The measure allows nonprofit, religious, veterans and other organizations to hold raffles as fundraisers.